There's a healthy indulgence for everyone at BE WELL! Looking for smoother, brighter skin? 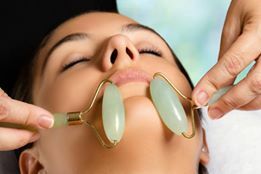 Enjoy the benefits of Jade Roller Therapy! Jade Rolling has many known benefits, including increasing blood circulation, promoting lymphatic drainage and reducing the appearance of fine lines. 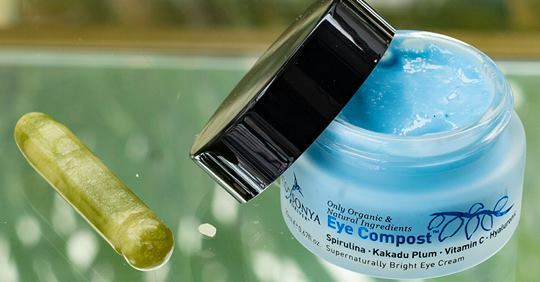 It's cooling and soothing effect on the skin helps to invigorate and create instant brightening of the skin, whilst assisting products to penetrate more deeply. Excessive and long-term tension in our facial muscles can cause wrinkles and fine lines, especially around the forehead and eyes. 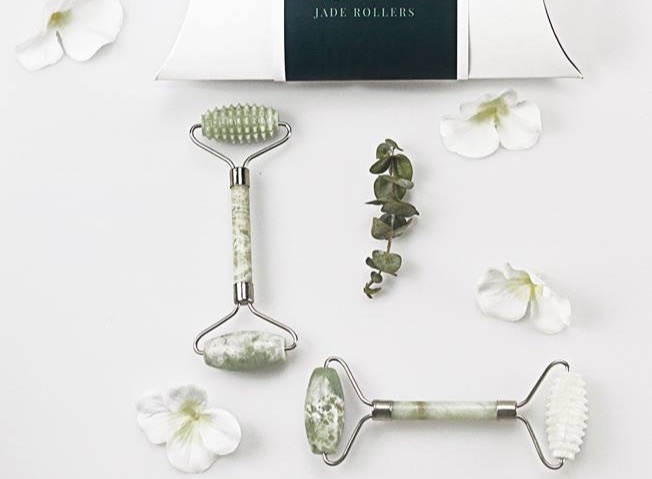 The Jade Roller can often help smooth these 'kinks' so that you're not just giving your skin an immediate boost but also preventing future wrinkles! In the realm of crystal healing, JADE is associated with protecting against negative energy and balancing your chi (qi), your body's energetic life force. According to Chinese medicine, any number of symptoms, from anxiety to fatigue to actual pain, can indicate that your chi is out of balance. Therapies such as acupuncture and jade rolling can help remedy this. Enjoy a Complimentary 10 minute Jade Roller Add-on (SAVE $16!) and Eye Compost Jade Roller application with every Facial booked in April! Valued at $54.95... Yours FREE when your spend over $99 on full-priced OrganicSpa!